The National Park Service has chosen Alabama State University in Montgomery as the location for the third and final interpretative center along the Selma-to-Montgomery National Voting Rights Trail. The park service and university President Gwendolyn Boyd signed a memorandum of understanding Monday. The signing comes one year before Alabama plans to celebrate the 50th anniversary of the 1965 march. Several sites in the capital city competed for the interpretative center, but officials said community support and resources clinched it for ASU. Officials say they are considering building a facility with at least 15,000 square feet built by Alabama State next to the football stadium. Trail Superintendent Sandra Taylor says the park service will supply about $3 million in exhibits. The other interpretative centers are open in Selma and White Hall. State officials have awarded Alabama State University with $800,000 in grant funding for the Selma to Montgomery Voting Rights Interpretive Center. The funding will be added to an existing grant of $1.2 million. 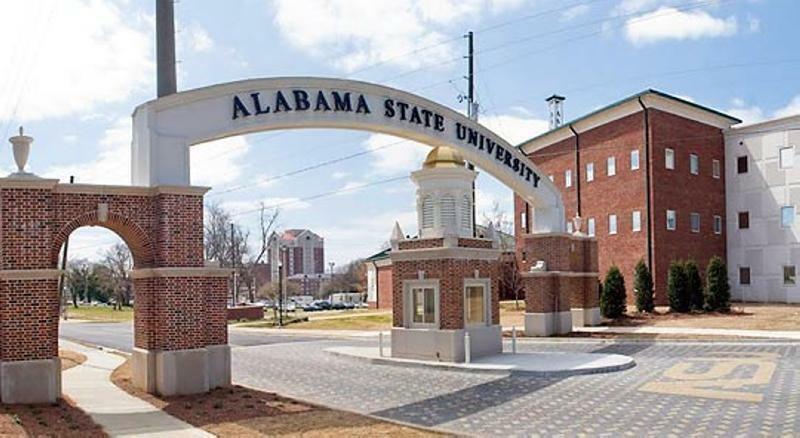 Director of Alabama State University's National Center for the study of Civil Rights and African-American Culture says the center will be located near Hornet Stadium on the university's campus. Organizers say they hope to open the center in time for the 50th anniversary of the Selma to Montgomery March in March 2015. About 200 people carried signs and sang spiritual songs at a rally at the Alabama Capitol marking the end of a re-enactment of the 1965 Selma-to-Montgomery voting rights march. The protesters chanted old civil rights slogans, but also protested current issues. Many of the demonstrators carried signs protesting an education accountability bill that Republican lawmakers recently pushed through the Legislature. Civil Rights Center To Stay At Alabama State Univ. A civil rights interpretive center will remain on the Alabama State University campus for now, following a vote by the Montgomery City Council. WAKA-TV reports that after some debate, the council voted not to reconsider the location. The station reports that the National Park Service selected ASU as the site of the center in 2011. Montgomery City Councilman Tracy Larkin has proposed a resolution to reconsider the current location at Alabama State, favoring a site along the Selma to Montgomery March route.